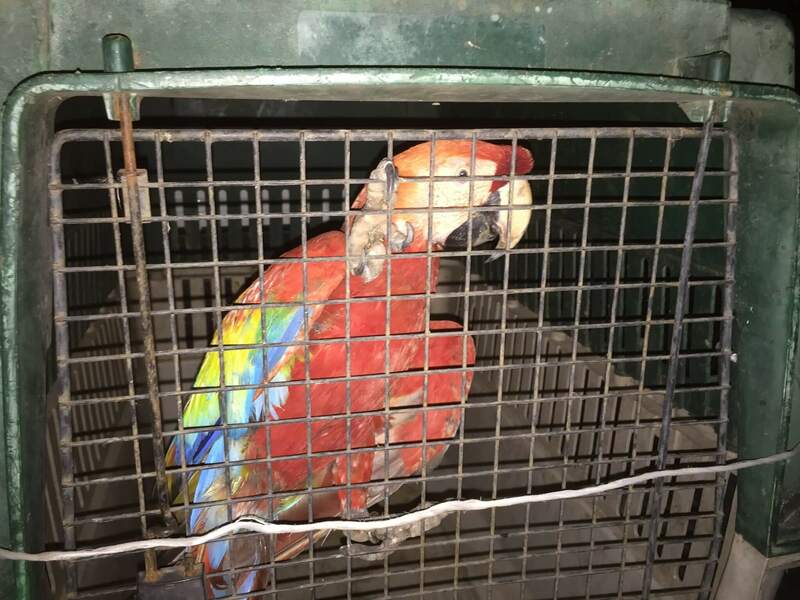 By way of SINAC, arrived a scarlet macaw (Ara macao) to the Macaw Sanctuary NATUWA,with deterriorating plumage from being poorly taken care of in captivity. Some of the tail feathers were missing, damaged and the rest had lesions. They were missing color possibly because of the poor diet they were given, without the necessary nutriets to develop a brilliant and colorful plumage charateristic of this species. 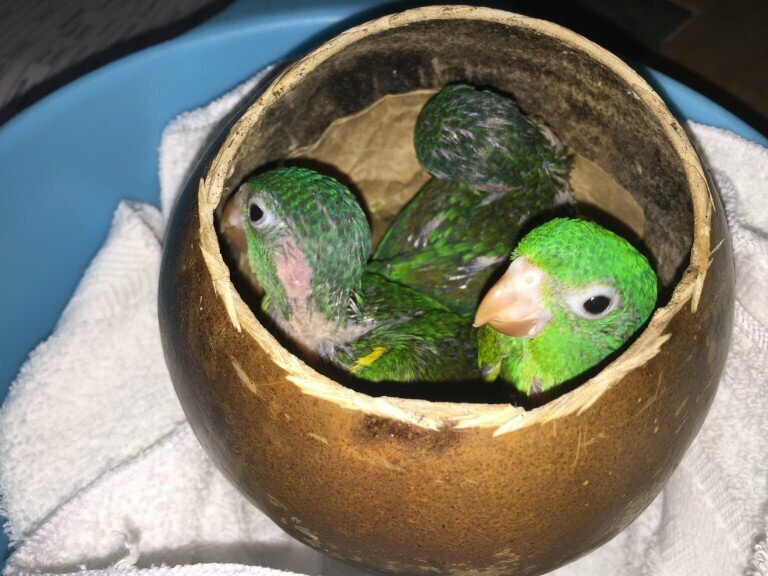 The bird is currently in the process of recupration, with a special diet y special place that will help stimulate their physical and mental well-being. 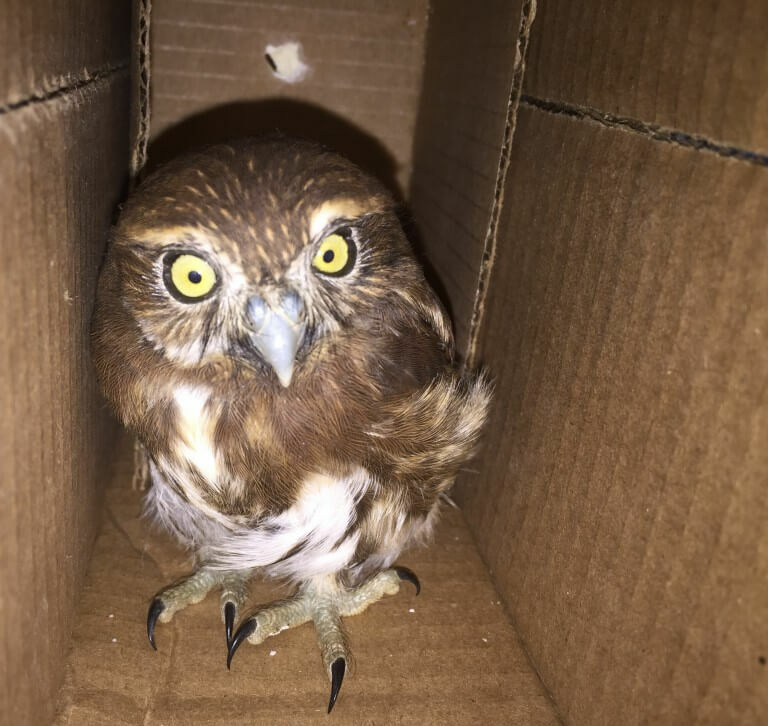 Saludos, personalmente creo que despues de haber visitado el Santuario de Lapas y haber comprendido como trabajan con los animales, con sus proyectos de recuperacion y liberacion de estas aves, existe todavia esperanza para que no desaparezca. 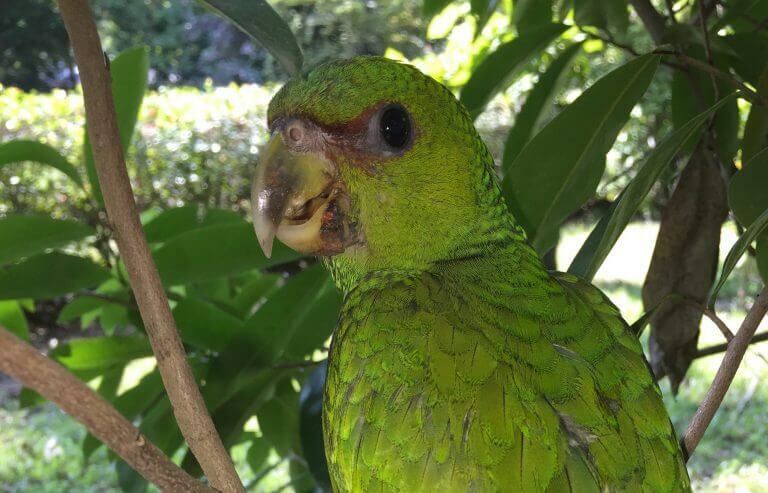 Creo que en un par de decades van a poder volar libres por muchos mas sitios de Costa Rica, sobre todo por el trabajo que hace el parque! Gracias !! Saludos desde Costa Rica! !